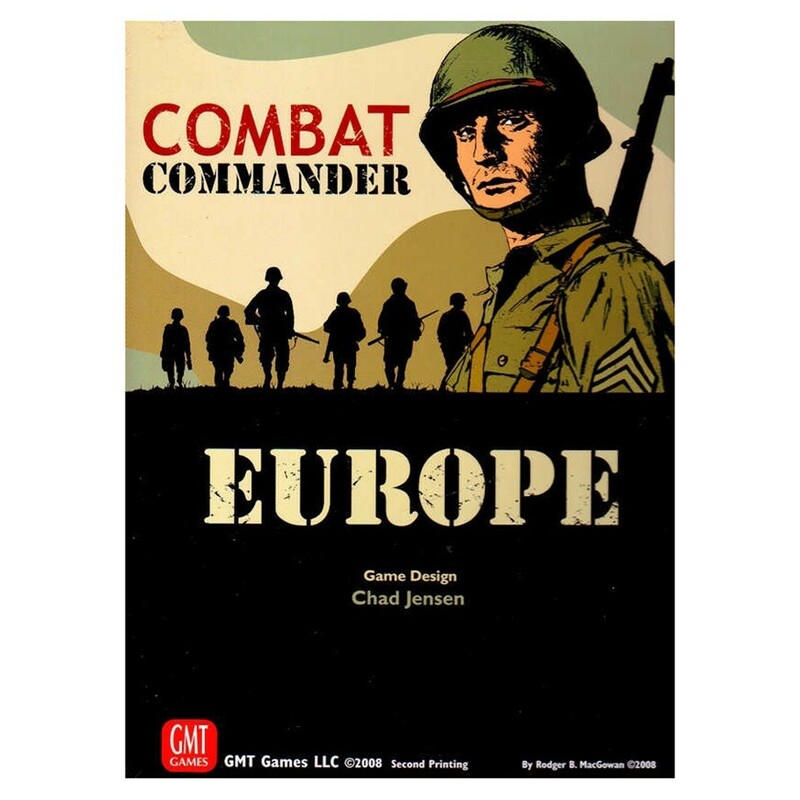 Combat Commander is a card-driven board game series covering tactical infantry combat in the European and North African Theaters of World War II. One player takes the role of the Axis (Germany in this first game; Italy and the Axis Minors in later installments) while another player commands the Allies (Russia and America here; Britain France and the Allied Minors in future expansions). This first game of Combat Commander includes units cards and historical scenarios depicting the American German and Russian forces. The second game in the series will provide cards counters and historical scenarios for British French and Italian forces. Each game includes 6-12 historical scenarios as well as a roll your own scenario system that provides an almost unending variety of map configurations force structures and combat situations. Replayability value for Combat Commander is very high. A game of Combat Commander has no strict sequence of play. Each turn is divided into a variable number of Player Turns each of which may consist of either: the active player expending one or more Fate cards from their hand for their Actions; or passing which allows the discarding of one or more Fate cards. Players redraw up to their maximum hand size at the end of each of their own Player Turns. Additionally Reactions may be played by either player at any time so long as the prerequisite listed is met. FATE CARDS: Players will take turns playing one or more Fate cards from their hands in order to activate their units on the mapboard for various military functions. Each nationality has its own 72-card Fate deck highlighting its historical strengths and weaknesses (lots of Smoke for the US; marksmanship bonuses for Britain; commissar events for the Soviets; broken Italian units will surrender more often; etc.). Each Fate card contains one Action and one Reaction: only one of which may be declared when the card is played.